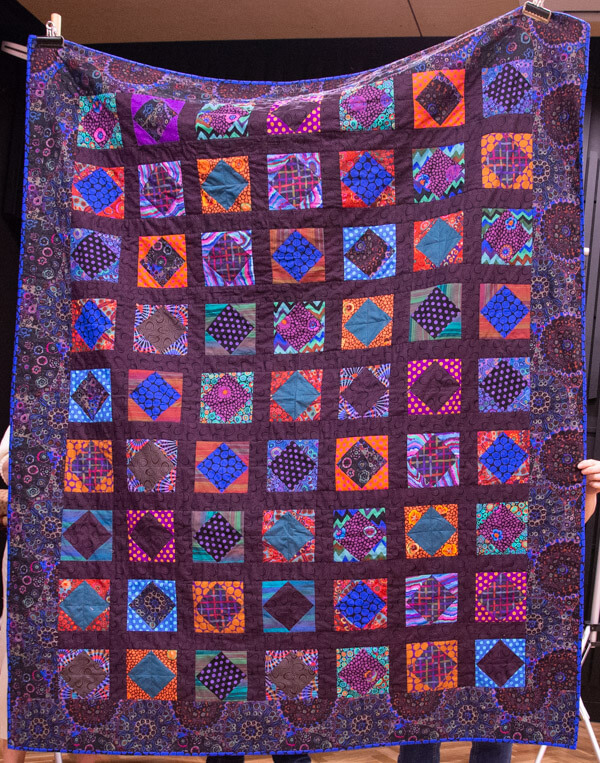 A Kaffe Fassett design from the book Quilts in America. Machine pieced and quilted. Another Christmas gift finished. Made for my niece as a light weight summer quilt.